It is alleged the Trump administration will have impact on the Fund agenda. In its 70-year history, the International Monetary Fund has been no stranger to financial crises and policy disputes but now faces a new challenge: a US administration fundamentally opposed to some of its most important positions. With the Fund’s 189 members due to stage a semi-annual meeting in Washington this week, there has been no shortage of divergences with the White House. The Trump administration has vowed to dismantle much of the financial regulation put in place after the 2008 financial crisis. But the Fund warns darkly that excessive deregulation could “increase the likelihood” of another meltdown. The IMF warns of the economic dangers of climate change. But the Trump administration casts doubt on its existence and seeks to revive its coal industry while threatening to withdraw from the 2015 Paris Agreement on emissions. It is nevertheless the volatile question of global trade that holds the greatest potential for friction between the IMF and its largest shareholder. 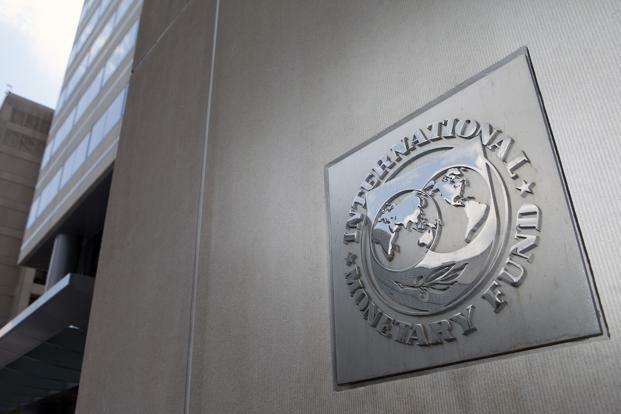 Since the US presidential campaigns, the IMF has repeatedly warned about the dangers of “inward-looking” protectionist measures and defended multilateralism. It is hard to see this as anything but an implicit counter-argument to Trump, who has vowed to raise trade barriers and restrict immigration, who has assailed the free-trade promoted by the World Trade Organization and on Tuesday signed an executive action to promote US firms over foreign ones in federal contract awards. The IMF has so far escaped the president’s barbs. Not so in the case of the Commerce Secretary. Washington, meanwhile, is calling on the IMF to pay closer attention to member countries’ efforts to affect currency exchange rates and other imbalances, particularly in trade, that harm the United States. “Clearly, there are some in the Trump administration that have expressed enormous skepticism toward multilateralism and if their line prevails, institutions like the IMF will suffer,” said Douglas Rediker, a former US representative at the Fund. Such antagonism cuts a stark contrast with the Obama years, when the IMF found a receptive audience at the White House in calling for raising the US minimum wage, combatting income inequality or giving a greater voice to emerging countries. “There will be some tensions but the weight of the US should not deter the IMF from being blunt and frank in its assessment of US policies,” said Nathan Sheets, former under secretary for international affairs at the US Treasury. For the moment, the IMF is holding its anti-protectionist line but also striking a conciliatory tone by hailing the Trump administration’s plans to invest in infrastructure and cut corporate taxes. Just before Trump took office, the IMF had also markedly revised its US growth forecasts upwards, expecting 2.3 percent growth this year. It reaffirmed this prediction in an outlook published Tuesday despite what it said was considerable uncertainty surrounding future US economic policies. The IMF is in reality faced with a delicate balancing act: maintaining its independence without alienating its powerful financial backer. To be sure, the United States does not have the legal means to cut off the IMF’s livelihood. But it can make things difficult for the Fund by slowing the institution’s efforts to become more active on social and environmental questions and to give greater weight to China or Russia. “The Trump administration will be able to have some impact on what the Fund agenda is,” said Sheets. The thorny case of Greece could also be affected. European governments are calling on the IMF to participate in the current aid plan for Athens but the Fund will have to convince Washington that this is wise. “The administration will be more reluctant to support IMF resources being used in Greece,” said Sheets.